Emergency Medical Services (EMS) Working Group: The Working Group did not meet in August due to scheduling conflicts with a meeting of the National Association of State EMS Officials. 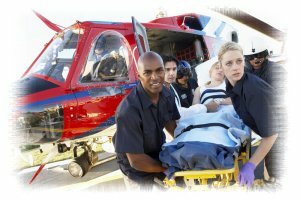 The group's new report, "Pre-Hospital Notification in Time Sensitive Medical Emergencies – What EMS Agencies and Emergency Departments Should Know," will be sent to the Governing Board for approval in September. The report will inform public safety agencies on the importance of pre-hospital notification on time emergent events such as stroke, STEMI, medical codes, septic shock, and trauma events. Common Channel Naming Working Group: The group has created several use cases to document the different ways LMR nationwide interoperability channels are used today and are working to reach consensus on the types of information each talkgroup name should contain. The group reviewed the first draft of their report outlining their findings. Cross Border Working Group: The group did not meet in August due to scheduling conflicts with the APCO International Conference. The Cross Border 9-1-1 Data Sharing document will be sent to the Governing Board for approval at the September meeting prior to publication. This report provides guidance to PSAPs in the U.S. and Canada on how to obtain customer account information and location data on callers who have roamed across the international border into their country.